With the release of his debut EP as D.D. Dumbo, out now on the effortlessly hip label Blue Rider, the Australian musician Oliver Hugh Perry has crafted a piece of work that is often beautiful and stuinning in its lofty ambitions; where exactly the ideas and the formation of the songs themselves came from is anyone's guess, but we thought we should catch up with the Castlemaine-based artist to attempt at finding out what it was exactly that had inspired his creative outpourings anyway. Perhaps understandably, we found ourselves amidst a list of often far-reaching and esoteric tracks from the fartherest corners of the world, as well as the crazed musings of muso prophets, heartbreaking strains and talks with Richard Dawkins. "My good friend put me onto this glorious music by the late Tanzanian Hukwe Zawose a couple of years back. It's incredible stuff, so close your eyes if you have any and soak it up." "If there is a cd player at my funeral and if there is an afterlife that I am worthy of living in, I would appreciate it immensely if someone played this tune at extraordinary volume during the cremation." "Pulls those heart strings every time." "I first heard this while lucid dreaming in a shed." "Tyrannamen are a power pop super group from Melbourne, lead by my friend Nic, who writes really good songs and still wears cute pyjamas as an adult. (BE CAREFUL! as the volume on this video is super LOUD!)" "Obviously not a musical influence but definitely more inspiring than a conversation about sport." 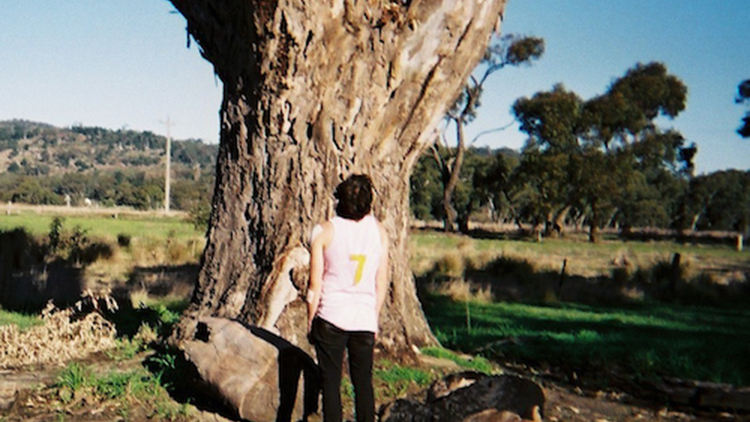 Stream the video for 'Tropical Oceans', the lead single from Perry's debut EP below.